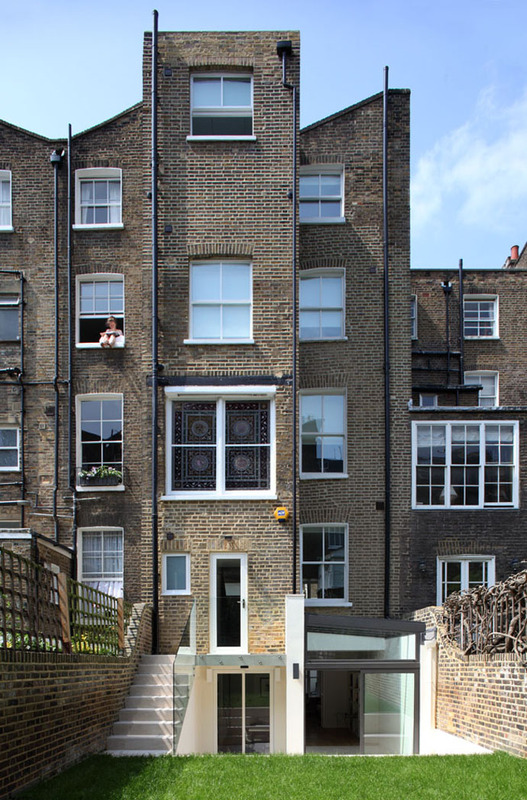 The project seeks to combine period features (stone staircase and stained glass window) with a modern renovation of a 5 storey family house. 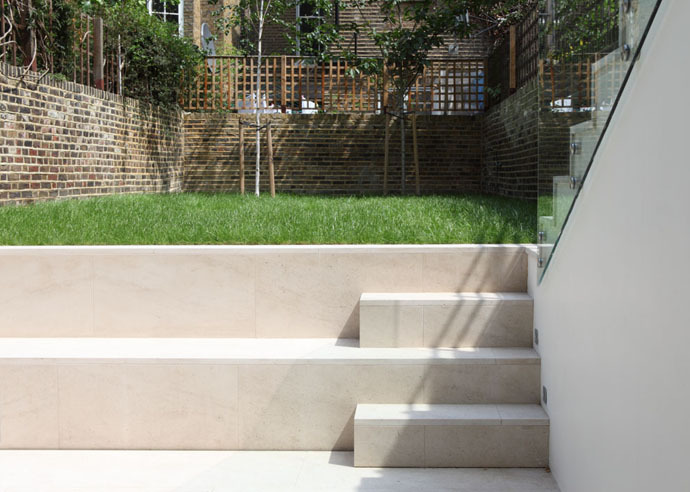 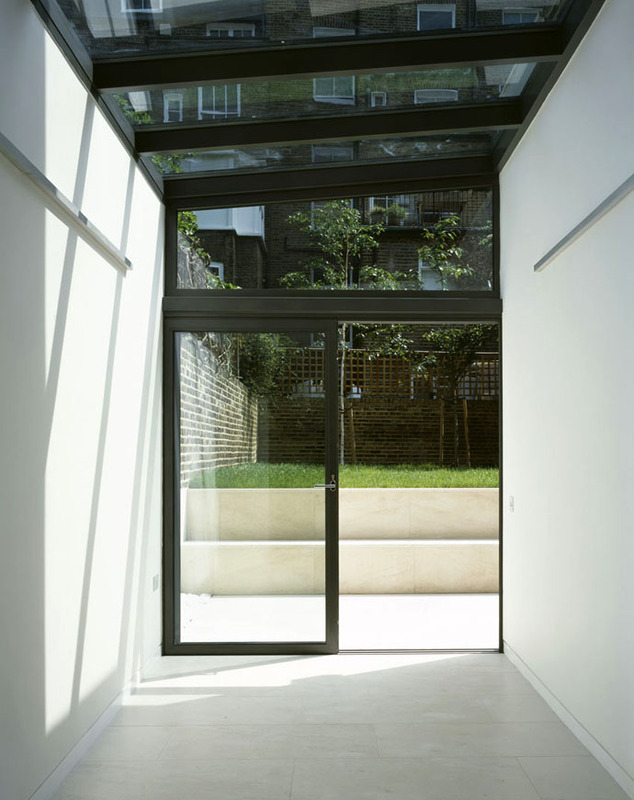 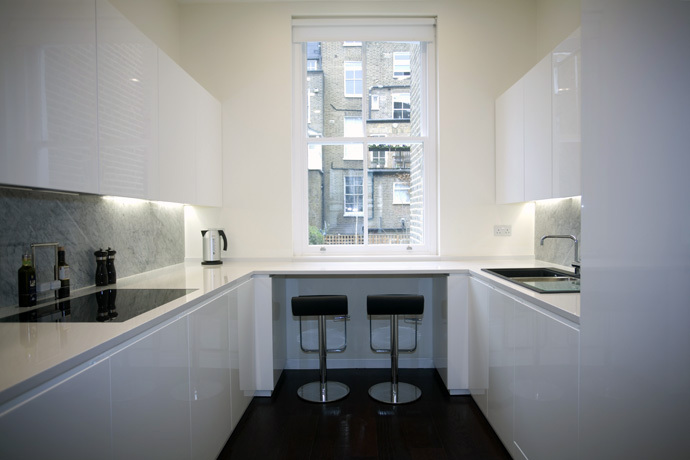 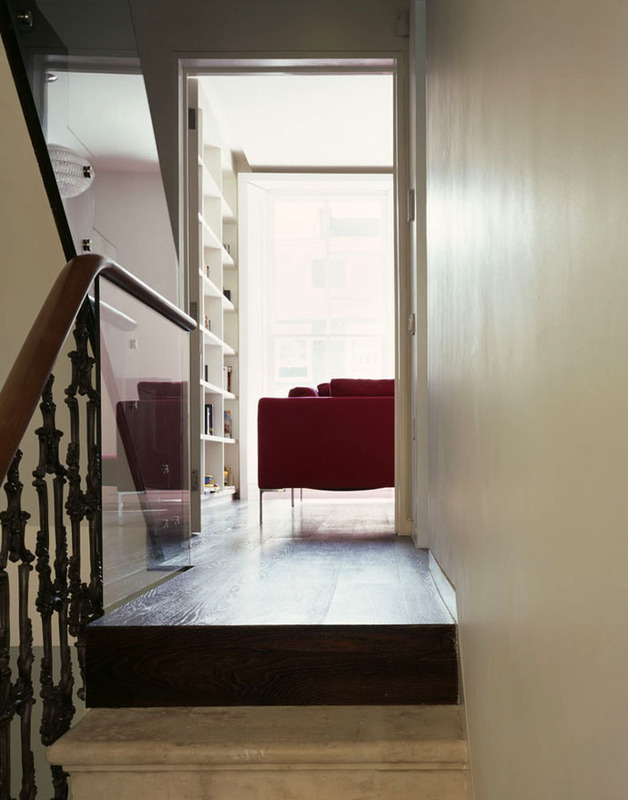 Respecting the typology of the London terraced house, all floors maintain the memory of the division between front and the back of the house; in some cases the front and back are joined via double doors that can also be shut to separate them. 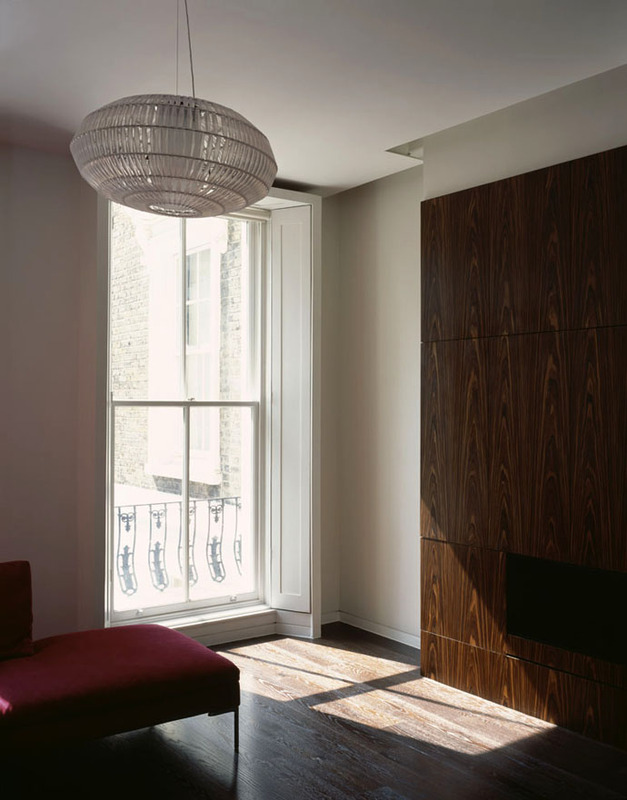 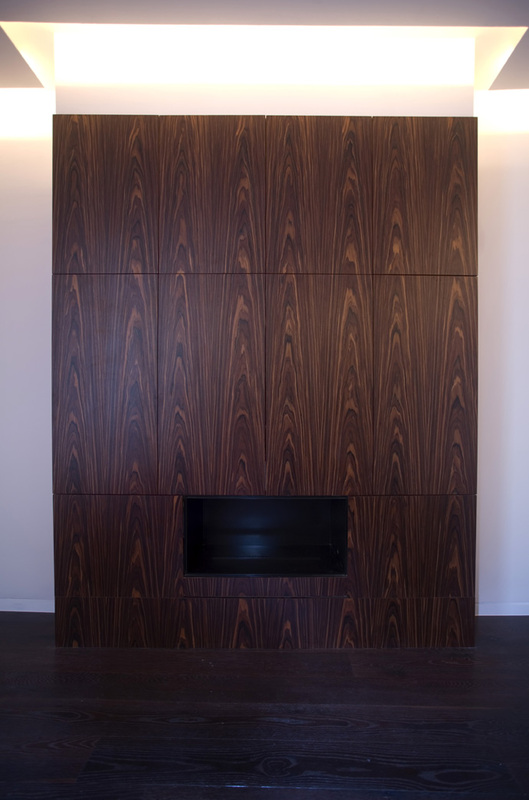 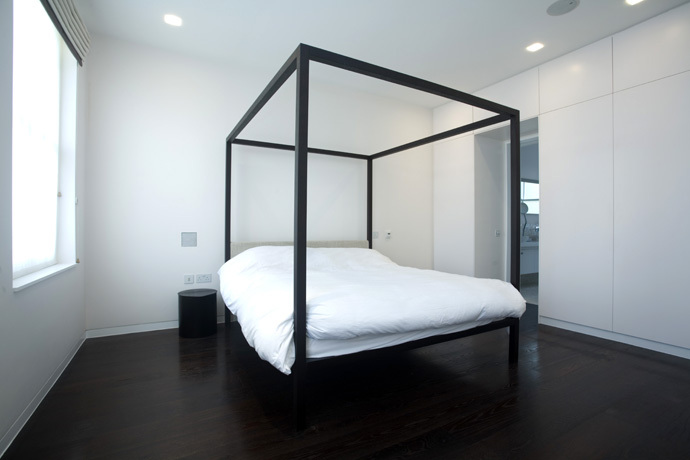 A baked oak floor is used on and above ground level to give the floor a dark depth that contrasts with the off-white walls. 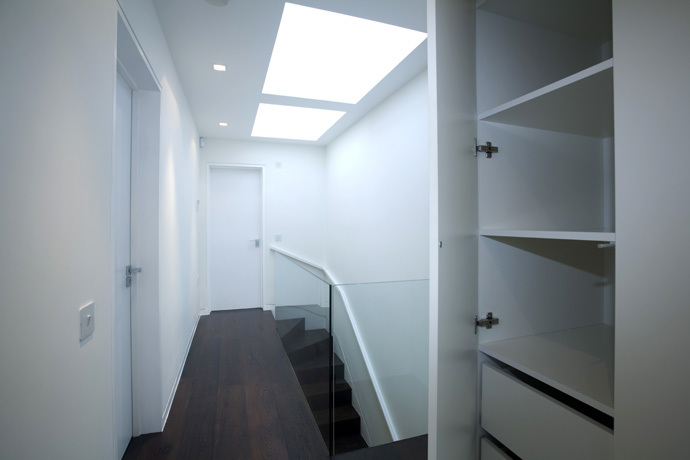 Glass balustrades are used above first floor. 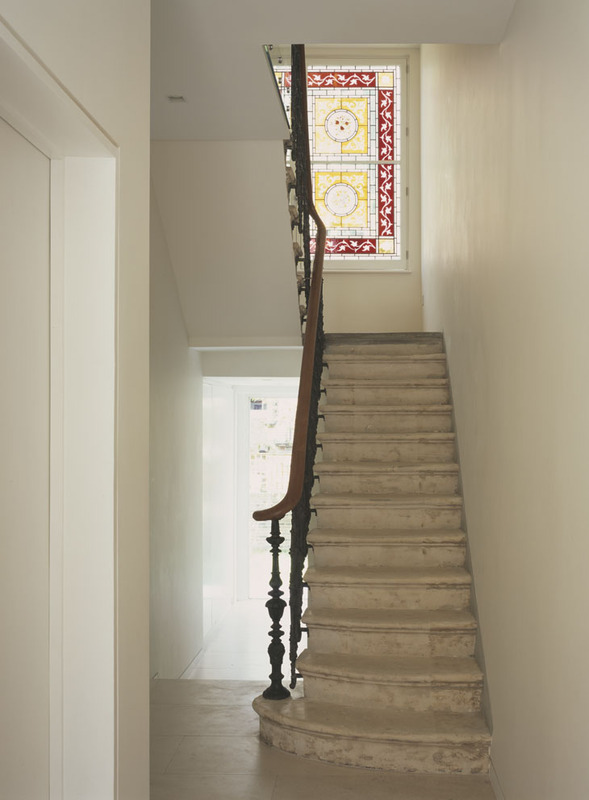 Between ground and first floors the original cast iron balustrades have been stripped of their paint to expose the bare metal. 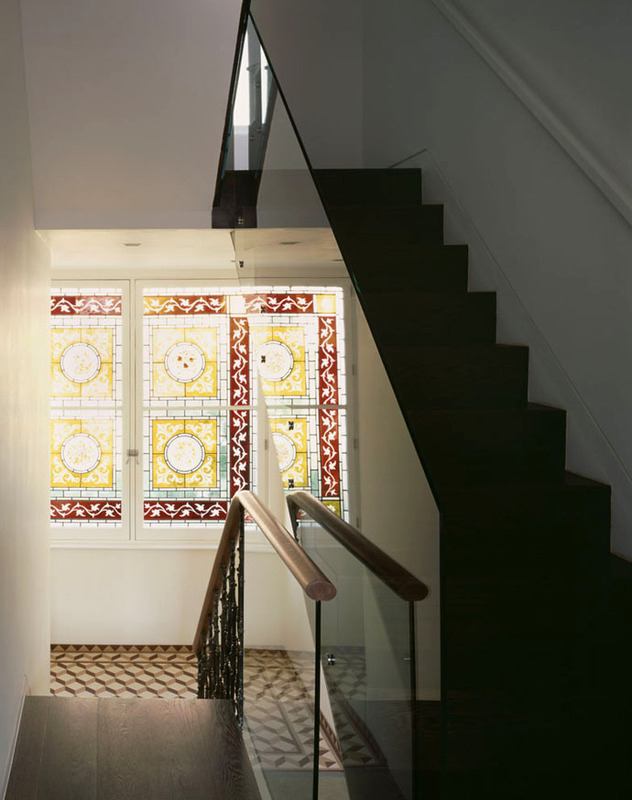 The stained glass landing window has been restored to its original design. 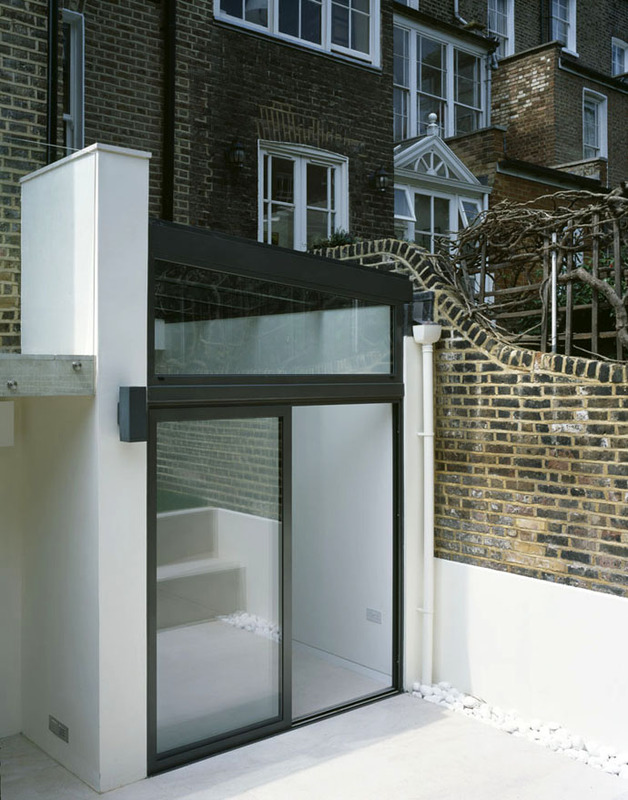 A glass extension has been added at lower ground floor level. 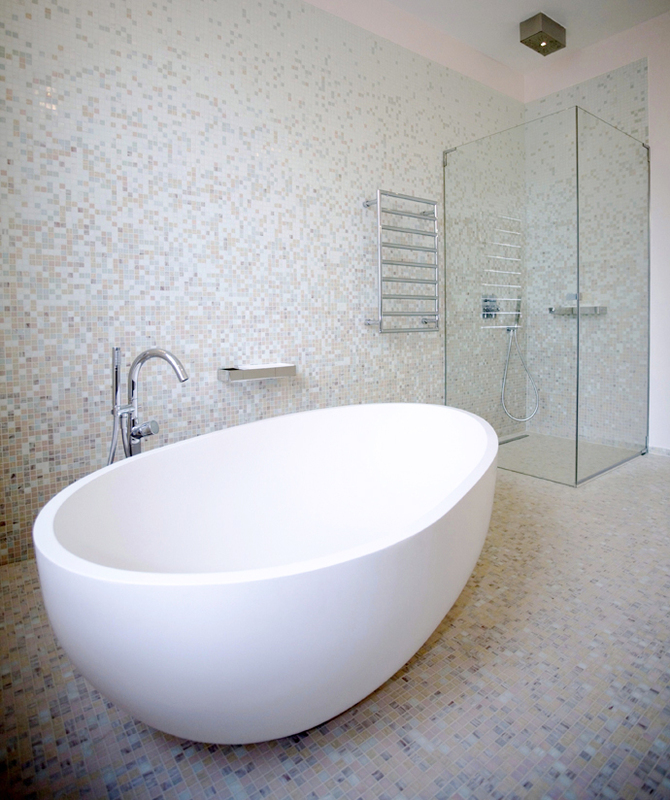 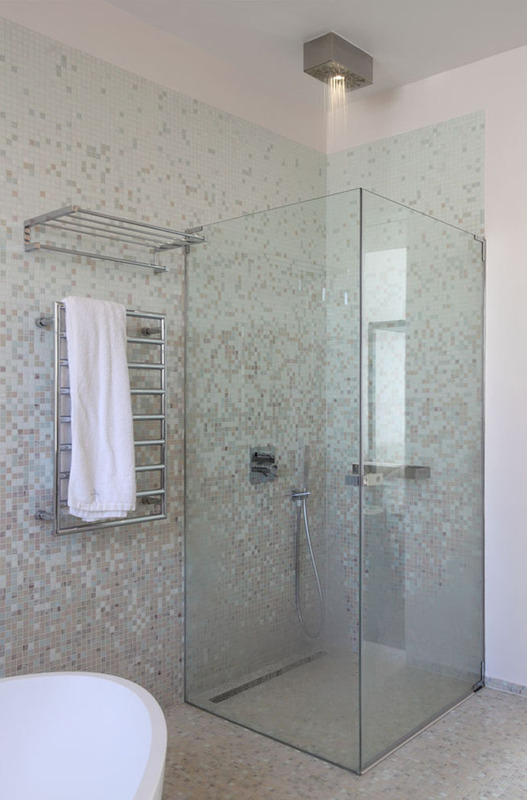 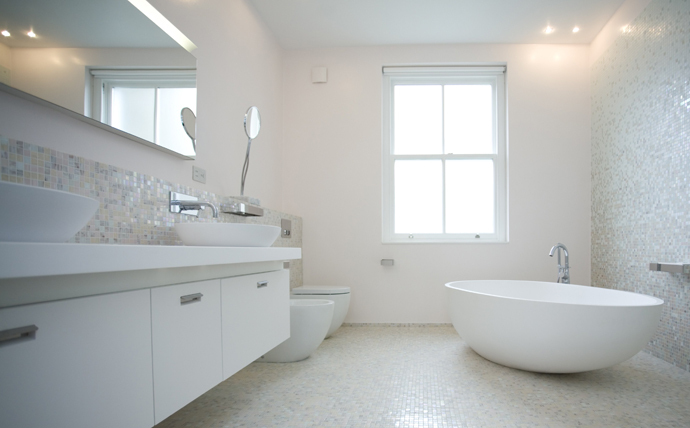 Bisazza mosaic tiles of different colours are used in all bathrooms, with Agape sanitary items and Fantini taps. 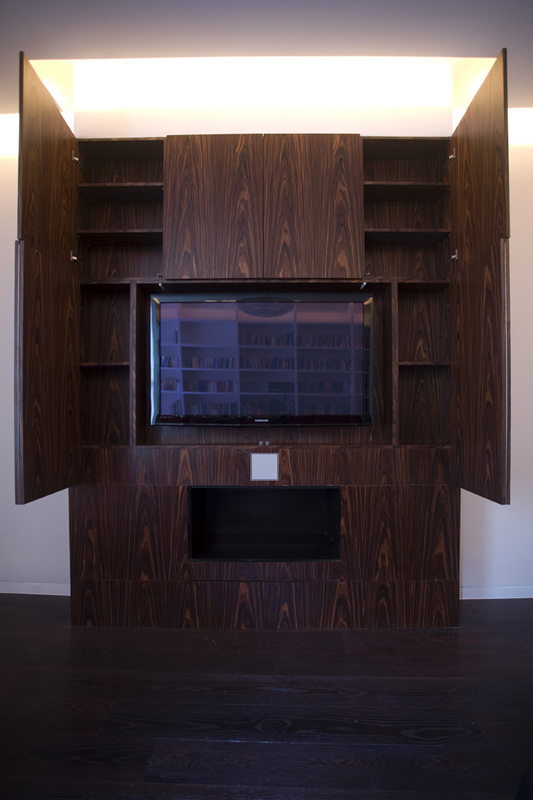 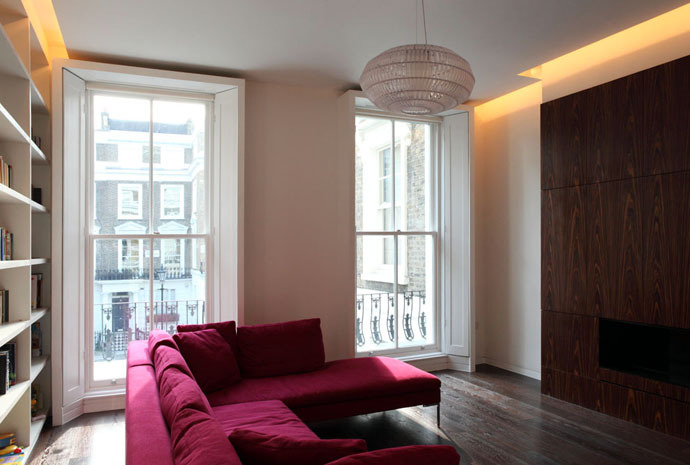 B&B Italia furniture complements the new carpentry consisting of window shutters and library.